Sometimes, even when you lose you win. It had been a long standing tradition for the honors club, the student body and the artists to have a secret competition early their senior year. But this year the athletes decided to put their best players into the games. Jamie had mixed feelings about it. 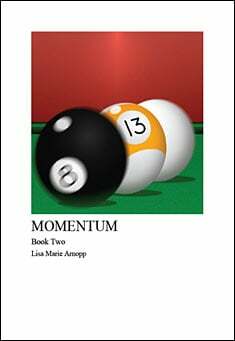 To complicate matters Peter had pressed her into a personal wager. He wasn't a bad guy but until recently he had been very dogmatic in his opinions of hers. Did he really have a change of heart or was he just adding subterfuge to leverage another win? Jamie picked up her racket and swung at an imaginary ball. Her arm panged when pulled straight from the sudden movement. She couldn’t play – not with her right elbow unable to extend. At least she wasn’t going to serve. Hitting with her left was possible but her serve was shot to hell. Checking her watch she saw that Wendi was twenty-eight minutes late. That was extreme even for her considering they were only playing a few games of tennis to kill some time during Spring Break. Finally she saw the vintage VW and unfortunately Wendi had company. Peter was worse than a boyfriend because even a boyfriend would give Wendi more personal space. Part of the problem was Dan that Peter was constantly around Wendi. Okay – the entire problem was that Jamie started dating Dan. Wendi was left with more free time and she spent it with her other best friend Peter. Jamie knew it would happen before it started and tried to proactively present an alternative. She attempted to set Wendi up on a date with her brother Mike but he wasn’t Wendi’s type. And although he was willing to pursue the idea, she wasn’t. At least Peter had softened on his staunch stance of her lifestyle. He didn’t change his mind, only kept his mouth shut but that was enough for improvement. Since Jamie and Dan were dating on the down low, she spent many a lunches with Peter and Wendi. For harmony, Peter had backed off. “Took some lessons a couple of years ago.” Peter answered. Of course this wasn’t a surprise. His mother kept both of her children’s calendars fully booked with all kinds of extracurricular activities; dancing, cooking, even scuba one summer. She was an overachiever and pressed her children to be well trained in diverse areas of expertise. “Let’s play girls against boy.” Wendi suggested as she flipped the can of balls over and caught it. Good. Jordan was a harpy and even Peter didn’t deserve that kind of treatment. Hopefully that meant Jordan was ready to drop him for a new guy. It was a record for the succubus. Usually she strung boys along for three months or more. It had barely made it a month. “Fine. But you have to serve first.” Jamie said buying some time to loosen up her elbow. Hopefully the painkillers and some movement would get it working in time for her serve. Until then, she could play with her left. Wendi’s serve had pace but of course Peter was form perfect. The first game wasn’t so bad even if Jamie was weaker in her left at the net. She took the ad side of the court when Peter served to give her good arm the advantage. After a couple of balls, Peter started hitting the inside of the service box forcing her to hit a left handed back hand. It felt unnatural but not impossible. Her returns were greatly weakened but she kept up being the better player of the three. Peter was up two to nothing. When you play two to one, the single player gets an edge since the balls need to stay inside the single lines. Wendi wasn’t use to losing four and a half feet from the alleys. Regardless why they were losing, Jamie dreaded the next game because it was her serve. Casually stretching she noted that her arm was relaxed and ready or not, time ran out. It was a softy but in. Then she slyly switched her racket to her left and played out the point.